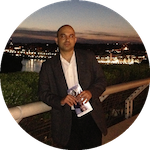 Our next Art Walk event explorers Dupont Circle a historic, vibrant and trendy neighborhood with its bistros, bookstores, galleries, embassies and some fascinating gems off the beaten path. 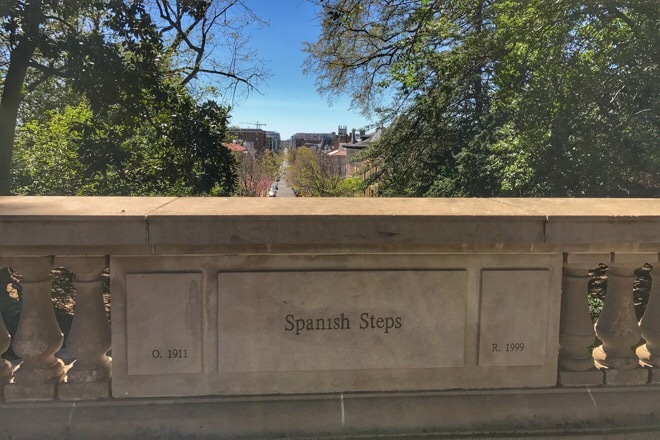 We will do a leisurely paced walk in Dupont Circle beginning with its buzzing farmers market and then explore some of the monuments, historic buildings and some off the beaten path gems. As we walk around we will also compete for the best photo in Dupont Circle. 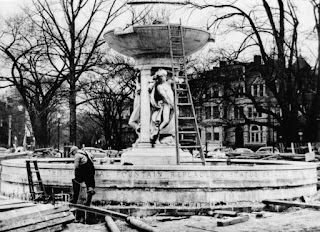 Most DC residents will correctly assume that Dupont Circle is named after the famous chemical and industrial Du Pont family, but few will know that during the during the Gilded Age, Dupont Circle was Washington's undisputed center of wealth, power and status. Over twenty years, it evolved from small farms and an overrun city cemetery to a community of grand homes for society's elite. Residents included future president William Taft, inventor Alexander Graham Bell, newspaper publisher Cissy Patterson, Mary Townsend socialite known for her lavish Balls and many more. 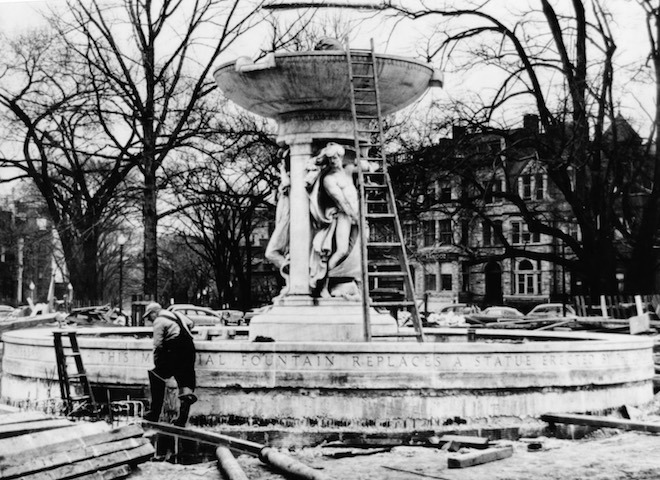 The Dupont Circle fountain with carvings that symbolize the sea, the stars, and the wind is a tribute to Rear Admiral Samuel Francis Du Pont, a prominent American naval officer and member of the Du Pont family. We will begin our Art Walk with a casual stroll around the farmers market, stopping by to taste some cheese, local pickles, or freshly made empanadas. 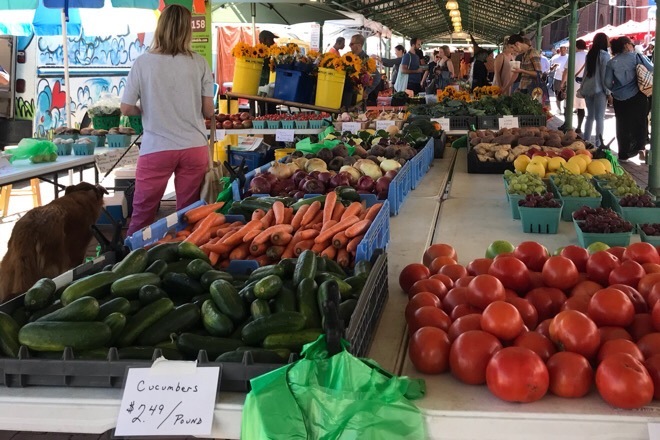 In Dupont Circle, more than 40 farmers sell different produce and baked fares ranging from meat, poultry, cheeses, fruit pies, and more. 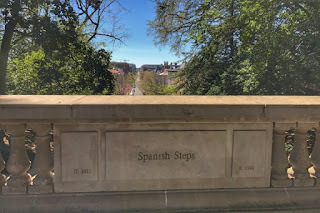 Constructed in 1905 at the height of the City Beautiful movement in Washington, DC, the Decatur Terrace Steps and Fountain also known as the Spanish Steps, in the Kalorama neighborhood, were intended to provide a pedestrian link between S Street and Decatur Place. Named with reference to the Spanish Steps in Rome, though obviously of no comparable scale and grandeur, they were designed by local architect George Oakley Totten Jr. inspired by the City Beautiful Movement that flourished during the 1890s and 1900s with the intent of introducing beautification and monumental grandeur in cities. We will meet at the Emissary, a cozy coffeehouse between N 21st St & N Hopkins St at 11:00am. Emissary is a 5 minute work from the Dupont Circle Metro Station. 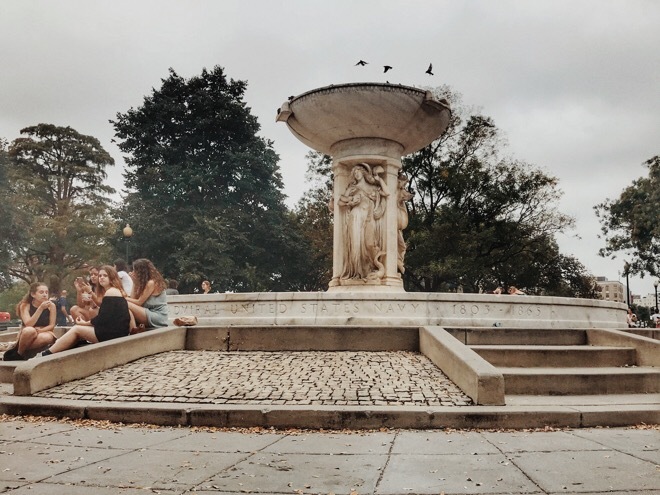 Description: Explore the vibrant neighborhood and farmers market of Dupont Circle on an autumn day for our Art walk contest. Friends and regular members of Grapes & Grains can pay $2 via Paypal, without the transaction fees using the pay to friend option.